At the end of September, CannaBrokers came third in Denver, Colorado’s first Marijuana Tech Startup Competition and bagged a prize of $500. Yet, this inaugural event seems likely to be the start of something which is replicated across Colorado, Washington… and further afield. Colorado opened its first licenced cannabis shops on 1st January. Washington had done likewise in July. But by the start of October, the Colorado marijuana legislation had changed yet again. These moves have been rapid and substantial, yet they could represent a legal minefield, as medical use is already allowed in 23 states, and the rules around licencing are extremely complicated. 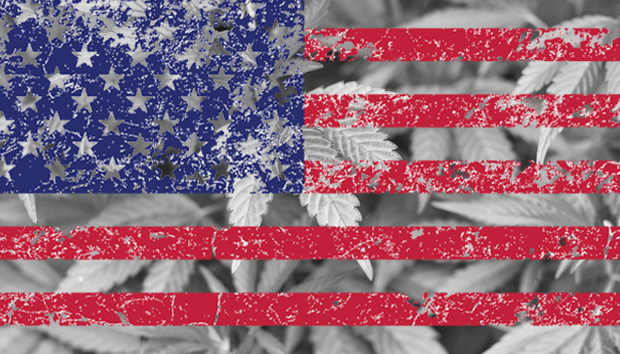 This means, as more states in the US join the race to legalise cannabis for recreational consumption, the need for relevant technology, to monitor and manage procedures in this fledgling industry, could escalate. In fact, ArcView Group, a marijuana research and investment firm based in San Francisco, has already estimated the Marijuana industry will almost double from $1.5 billion last year to about $2.6 billion through 2014. Not surprisingly, businesses across the spectrum, are rushing to claim their slice of the action. In mid-July, the New York Times ran an in-depth piece: Next Gold Rush: Legal Marijuana Feeds Entrepreneurs’ Dreams. While in April, Alice Truong from Fast Company wrote a detailed report - In Search Of Greener Pastures, Techies Land In The Growing Marijuana Field - on the entrepreneurs looking to jump on the bandwagon. Needless to say, Denver’s Marijuana Tech Startup Competition caused quite a media stir and was covered – albeit in passing – by numerous publications. As well as getting brief a slot on Business Matters (7th Oct) on the World Service - which included some amusingly careful responses from the panel. When we catch up with the organiser, Dan Hunt, the 21-year director of growth and operations of MassRoots – a company that labels itself as the Instagram for the marijuana industry – he confesses that he didn’t really know anything about event organising when he set this up. In fact, based on our chat, you could argue the whole thing was a bit of - waiting-to-happen - fluke. He tells us that he found some sponsors and released the event on Eventbrite but he was very “surprised” by the reaction. The press coverage started back in August, when the Fast Company reported a bit of fracas over the original name selected, ‘Startup Weekend’, as UP Global claimed the trademark. This meant the title needed to change to ‘Startup Competition’ – as it was billed. « The Dark Net: Will the Black Market Continue to Rise?